The Bureau of Labor Statistics expects all Legal Occupations to grow 9% between 2016 and 2026, much faster than all occupations, which are projected to increase only 7% in the same period. Within the Bureau’s Legal Occupations category, Arbitrators, Mediators, and Conciliators occupations are expected to grow 10% between over the same period and Paralegal and Legal Assistant occupations are expected to grow 15%! There are quite a few different law degrees students can earn in the United States. Some of the degree names differ slightly from school to school, but the degrees generally fall into one of the six categories below. While it is important to remember that the only degree path for students wishing to become licensed attorneys is the Juris Doctorate (JD) degree, students should also keep an open mind and explore all the new law degrees that have emerged. A non-JD law degree can still be a great career choice with less commitment. 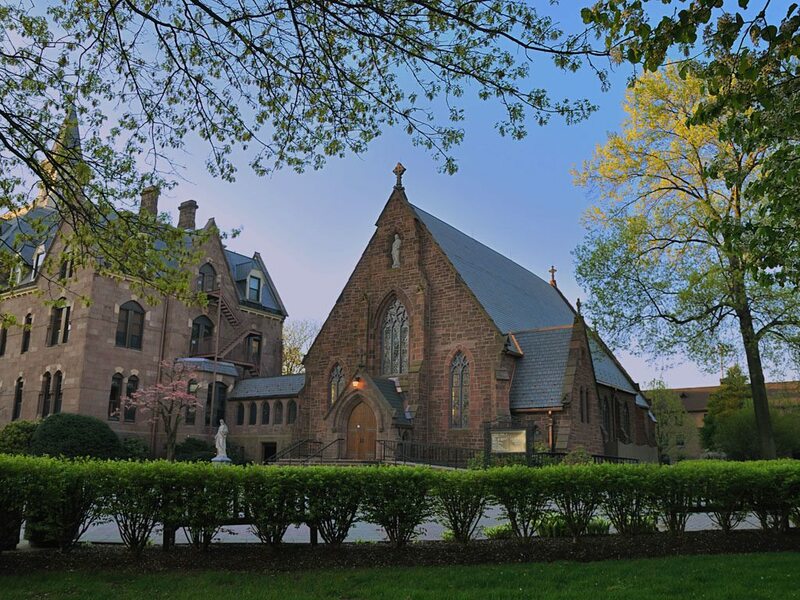 Villanova University is a prestigious, private university located in Philadelphia, Pennsylvania. The school was founded in 1842 by the Order of Saint Augustine, a Roman Catholic sect that is still operating today. 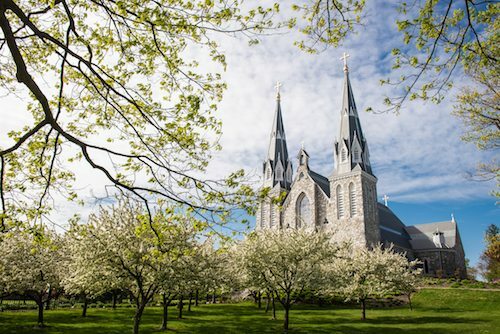 Villanova has developed extensive non-traditional and online programs, all of which offer the same rigorous curriculum as the campus-based programs, but allow for students to complete the coursework in the flexible online format. Villanova’s innovative online design delivers traditional coursework and also provides a variety of hands-on learning opportunities to prepare students to be industry-ready. The faculty of the Graduate Tax Program is comprised of experienced industry leaders and boasts some of the brightest minds in law and taxation. For professionals that work in the field of taxation, Villanova University offers affordable online degree programs that provide the valuable expertise needed to succeed in this complicated and ever-changing field. Villanova’s Graduate Tax Program is a comprehensive program offered jointly through the Charles Widger School of Law and the School of Business. The program offers three online graduate degrees and three online certificate programs designed to provide an in-depth examination of tax policy and principles for accounting, business, and legal professional. For practicing attorneys, the program offers the online Master of Laws (LLM) in Taxation. For non-attorneys, and geared towards accountants, the program offers the online Master of Taxation (MT) degree. Both degree programs provide an in-depth examination of taxation and tax law. For students pursuing a JD at Villanova’s Charles Widger School of Law, the program has an online JD/LLM in Taxation degree for on-campus JD students to simultaneously earn Master of Laws in Taxation (LLM) online. Additionally, online graduate Certificate Programs in Employee Benefits, Estate Planning, or State and Local Taxation can be completed as stand-alone certificates or conjunction with the LLM or MT degree. The Texas A&M School of Law, located in Fort Worth, Texas was originally established in 1989 as the Dallas/Fort Worth School of Law. Over time and a couple of mergers, Texas A&M University acquired both the Dallas/Fort Worth School of Law and the Texas Wesleyan University School of Law, creating the TAMU School of Law. They offer non-traditional coursework in legal studies at many levels and a variety of focuses. University graduates who do not plan to practice law for example, but seek legal education and training in a focused area can earn an online Master of Jurisprudence (M.Jur.) in Wealth Management ​or an online Master of Jurisprudence (M.Jur.) in Risk Management. Both online M.Jur. Degree programs are delivered entirely online and are completed with 30 credits. Students who already hold a J.D. law degree or a first law degree from a non-U.S. law school can earn an online Master of Laws (LL.M.) in Wealth Management or an online Master of Laws (LL.M.) in Risk Management. Both online LL.M. degree programs are delivered entirely online and are completed with 24 credits. Both on-campus and online programs at Texas A&M are accredited by the Southern Association of Colleges and Schools Commission on Colleges and have obtained acquiescence from the American Bar Association (ABA). Texas A&M Law draws professionals from such disciplines as Business Analysts, Chief Financial Officers, Directors of Financial Planning, and Directors of Wealth Management for the comprehensive academic undertaking in Wealth Management. Geared toward non-lawyers, this finance and law degree will bring graduates to the frontlines of disciplines such as investment, tax, charitable giving, estate planning and more. Delivered in an asynchronous format, the online curriculum enables students to study any time of day, in any location that is convenient for them. Applicants are admitted into the program on a rolling basis, and cohorts begin the program throughout the year. The program is completed within 24 credit hours. In 2008 The University of Nebraska- Lincoln became the first school of higher learning in the nation to offer a Space, Cyber, and Telecommunications Law degree program. They are known for innovations in the field, including a recent partnership with International Law of Military Space Operations, and connections they make between disciplines, including space and music. Their programming is designed to synthesize the symbiotic spheres of technology and law, as laws must evolve in order to create an expansive container that protects citizens while holding the innovations of technology. The program supports students to contribute to this new and evolving field by generating unique discourse in one aspect of the field by creating a thesis in the length of a book about one aspect of space law. The University of Nebraska gives students the opportunity to earn their Master of Laws in the dynamic niche field of Space, Cyber, and Telecommunications Law that is delivered primarily online. The program calls professional attorneys to deepen their practice, and complete the program while continuing to work within their demanding professional careers while participating in this flexible 24 credit hour program. Three of the credit hours, however, must be achieved on campus by way of a residency within the first two semesters. Students also have the opportunity to participate in one UNL Space, Telecom, Law hosted seminar or conference in person, which is a program requirement. In 1937 a seed at Seton Hall University was planted for the future of a law school that would be a hotbed of excellence in the field. It took surviving the war years and the closure of John Marshall Law School to get the Seton Hall Law school off the ground in 1951. Seton Hall University absorbed many of the Marshall law resources, including the graduate records and library. Since, Seton Hall has established a comprehensive law school renowned for their dynamic programming in fields such as health and pharmaceutical law, public interest and government services, corporate practices, and intellectual property law. Seton Hall offers a variety of Master’s in Law programs, including the online Master of Science in Jurisprudence (MSJ or MS) or an online LL.M. degree, geared towards a diverse range of professional students. Much of their programming is designed to be accomplished online, so students don’t have to take a break from their professional or personal lives to complete the program. The online programming gives students access to the same faculty, who are leaders in the fields of law, as traditional students who study on campus. The online format also enables students to create their own curriculum, and focus on the areas that apply to their professional goals, with the flexibility to study when and where is convenient for them. The University of Tulsa College of Law is proud of their legacy as one of the first fully accredited Energy Law programs in the nation. The University of Tulsa was built from the synthesis of McFarland College and Henry Kendall College following the establishment of Tulsa as a hub for energy leaders including Texaco, Sunoco, Exxon, and Shell. Internationally, the University of Tulsa has become a household name in energy law, and a leader in sustainability, with programs including Sustainable Energy and Resources Law (SERL) program, which has a centralized focus on Energy, Environmental, and Natural Resource Law and Policy. As the laws and innovations of energy continue to evolve, it remains necessary for legal professionals to stay up-to-date on the complexities of energy law from solar, renewable energy, sustainability, electric power, to oil and gas. The University of Tulsa College of Law engages students in this distinct and apropos fully online Master of Jurisprudence in Energy Law degree program. This course of study is geared towards a diverse professional population who work in many facets of the complex field of energy. Competencies for which students will glean include law related to natural resources, including water and minerals, regulation of electric power markets, environmental permitting, and legal writing and advanced legal research. George Washington University established their law school in the 1820’s and is known as the first law school created in the nation’s capital. They are one of the inaugural members of the Association of American Law Schools. In 1954 they joined forces with the National University School of Law. In 1923 they were accredited by the American Bar Association. The US News and World Report for 2019 ranked GW Law number 8 for best Intellectual Law Program, 6th for International Law, and 24th for the Best Law School in the country. There are many online course and program offerings especially through the Legal Studies Department at George Washington University Online. The Law industry has evolved and grown as fast as the industries that it supports, requiring lawyers to have skilled leaders that work in tandem with their enterprise for the health and success of their work. George Washington University offers fully online programming provides a fully online 30 credit hour Masters of Professional Studies program in Law Firm Management. Many students who choose this path wish to deepen their professional administrative path and gain skills in critical thinking, knowledge in legal market trends, and managerial perspectives. This flexible online program still gives students the same access as traditional students to faculty that are legal and business experts who are leaders in the field. New York University (NYU) School of Law was founded in 1835, making it the first school of law in “The Big Apple”. Many sources rank the institution as a premier law school. The Shanghai Academic Ranking named NYU second out of all law schools in the entire world. The US News and World Report ranked NYU Law first in the country for International Law and Tax Law. The school’s Master of Laws in Taxation Program was designed for students interested in pursuing taxation in a variety of forms including estate planning and business taxation and who already hold a professional law degree. 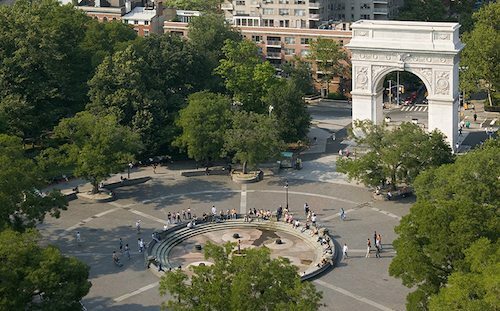 For the most of the 65 years that New York University has offered their Law Graduate Tax Programs, students had to come to Greenwich Village from all corners of the world to take part in their groundbreaking programming. Times have changed, and the Law Graduate Tax Programs at NYU have followed suit; now many of the same programs can be taken from anywhere in the world. Video technology enables students to be present in many of the same classrooms as traditional students. 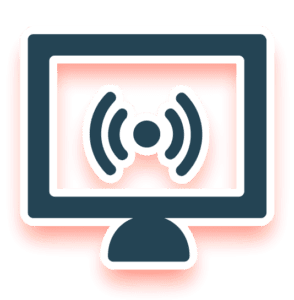 Online students directly have access to faculty and administrative staff through online portals like discussion boards, and innovative technology gives students access to smart tablet notes from faculty. The University of Southern California (USC) Gould School of Law was established in 1900, making it the first law school to enter the Southwestern United States. In 1907, Gould joined the Association of American Law Schools, and was approved by the American Bar Association in 1924. The school is internationally regarded as a top law school and consistently ranked by the US News and World report between the fifteenth and eighteenth on the list of America’s Best Graduate Schools. The National Law Journal conducted a job placement study in 2011, and ranked Gould number 12, with over 32 percent of their alumni achieving NLJ 250 positions, within the largest law firms in the country. The University of Southern California Gould Law School offers a online Master of Laws (LL.M.) degree program that can be combined with a Certificate in Business Law and achieved entirely online. The online programming at USC is equipped with resources to provide students with one-on-one student support, and networking opportunities for students to engage with over 10,000 alumni from all over the world. The online LL.M. can be completed in as little as three semesters and prepares students to work as leaders in law, business, government, engage as leaders in civil rights movements, become CEOs of Fortune 500 companies, and partners in globally renowned law firms. The American University (AU) Washington College of Law (WCL) was established in 1896, incorporated by the District of Columbia in 1898, and was the first law school in the world founded by women. The school was founded to provide opportunities in the legal profession for women and other students historically outside the mainstream. Not surprisingly, WCL was the first law school to have a woman dean and the first to graduate an all-female class. The American University Washington College of Law offers a distinct Master’s in Laws International Human Rights and Humanitarian Law Program that cuts to the root of crucial humanitarian issues of today. This course of study is offered in a hybrid format, giving students a tremendous amount of flexibility afforded by online learning, with valuable residencies requirements that engage students with experts in human rights and humanitarian law in two three week summer sessions on campus. Some of the topics of study include Economic, Social, and Cultural Rights, International Humanitarian Law, Human Rights and Development, and International Justice for Human Rights Violations. The Thomas Jefferson School of Law (TJSL) was established in 1969 as a part of Western State University. The original TJSL was in San Diego, California far from the Western State Flagship in Fullerton, California . The downtown San Diego campus provided working students the opportunity to study law in the evenings on a part-time basis. The programs offered were so popular that in 1983 TJSL relocated to a larger campus in San Diego’s Old Town Neighborhood to accommodate a comprehensive full-time law program. The school continued to expand and returned to their original downtown neighborhood, now offering a variety of law programming. Thomas Jefferson School of Law offers a fully online Doctor of Juridical Science (JSD) postdoctoral degree program. This flexible and specialized degree program was created for students on the path to become legal academics and undertake extensive legal research and writing. Those wishing to pursue careers as professors and scholars of the law might be drawn to this program, which is known as Thomas Jefferson School of Law’s most advanced law degree. Students should be able to complete the application in 2-5 years time, with possibilities to transfer in credits. Sixty credit hours are required for completion. All incoming classes begin the program in July. 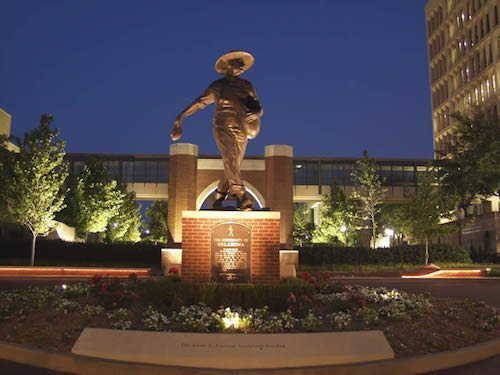 The University of Oklahoma (UO) College of Law was established in 1909 in Norman, Oklahoma. The school implements a variety of online programming that uses state of the art technology to give students a classroom feel, and the campus amenities don’t skimp on quality either. Students have access to courtrooms, study centers, and classrooms that engage the most cutting edge technology. The community is embedded into all aspects of study, supporting an intimate collaborative experience among students. Over 500 students enrolled annually in the school’s Juris Doctor Master’s of Laws, as well as several dual degree programs. The OU College of Law recognizes that professionals other than lawyers have a growing need for legal education and in 2013, began offering an online Master of Legal Studies (M.L.S.) degree program. Master of Legal Studies (M.L.S.) students can choose to specialize in one of three area – Indigenous People’s Law; Oil, Gas, and Energy Law; or Healthcare Law. All three programs can be completed in 15 months and are flexible by designed for working professionals. Much of the program is geared towards providing students with the skills to support their state and its citizens. Applicants must have completed a bachelor’s degree before starting the first day of class. The program is beneficial for lawyers and nonlawyers who are interested in gaining legal competency, but not necessarily a license to practice law. Washington University in Saint Louis (WUSTL) School of Law in St. Louis, Missouri is one of the seven schools that comprise the University. Founded in 1867, WU’s School of Law is the oldest private and continually operating law school west of the Mississippi. 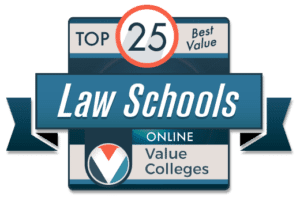 The well regarded private school maintains a list of rankings and accolades on its web page and is a great choice for an affordable, online law degree. 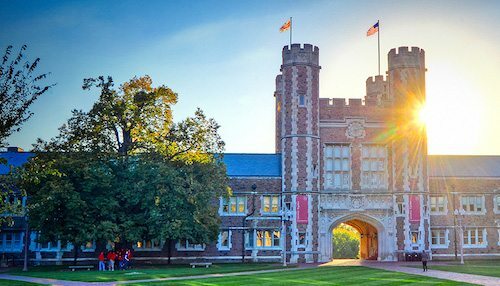 The Washington University in St. Louis offers a variety of graduate law degree programs geared towards professional students who are interested in increasing their knowledge and skills related to law. Students can participate in a self-paced format with course materials and lectures available online 24/7, allowing for necessary flexibility for professional students with busy schedules. The school offers an online Master of Legal Studies (MLS) designed to provide non-lawyers with a comprehensive understanding of the U.S. legal system. The online Master of Legal Studies classes are taught using the Socratic method highlighting critical thinking and dialogue. The Washington University MLS degree program has obtained acquiescence by the American Bar Association (ABA) and Washington University in St. Louis has been accredited by the Higher Learning Commission (HLC) since 1913. The University of Illinois at Springfield celebrates the diversity they bring to the academic sector by engaging students of all ages, ethnicities, and backgrounds. When the school first opened its doors in 1969, it was called Sangamon State University. UI Springfield has offered a variety of online degree programs since 1999, drawing a professional and non-traditional student population. Originally an upper-division and graduate university, the school now accepts first-year students, sophomores, and transfer students. The 750 acre campus is 200 miles from Chicago and 100 miles from Saint Louis. The University of Illinois at Springfield has many exciting program offerings that are unique. This includes their Online Legal Studies Master’s Degree Program that was designed for professionals who are interested in gaining competencies in the inner workings of the legal sphere, including a knowledge of social justice and personal and collective citizen rights. The program structure enables students to complete their entire degree online, with many night classes, and the ability to work with professors instead of teaching assistants. The class sizes are small, and students have a lot of control over the coursework they undertake. There are many opportunities for students to gain clinical and experiential learning experiences. Hofstra University is the home of the Maurice A. Deane School of Law and was established in 1970. The school is fully accredited by the American Bar Association. They not only offer a myriad of programs on their Long Island campus, but they have extensive online programming that draws students from all over the world. The ABA-required disclosures from 2017 show that 73.33% of the graduating class of 2016 achieved long-term, full-time employment just nine months following graduation. They offer 15 concentrations of study includes Child and Family Advocacy, Labor and Employment Law, Taxation, Real Estate, Intellectual Property Law, and Corporate and Security Law. The Maurice A. Deane School of Law offers a fully online Master of Laws (LL.M.) in Health Law and Policy that includes just nine courses and can be completed in a mere 18 months time. The course of study is designed for legal professionals, who want to gain skills such as delivering effective legal counsel, to biotechnology ethics. With the effective technologically advanced online format students can learn at their own pace at a schedule that fits into their other personal and professional obligations. There are many opportunities for peer collaboration and reflective regarding health law practice. Students have the option of beginning the program during one of three annual start dates. 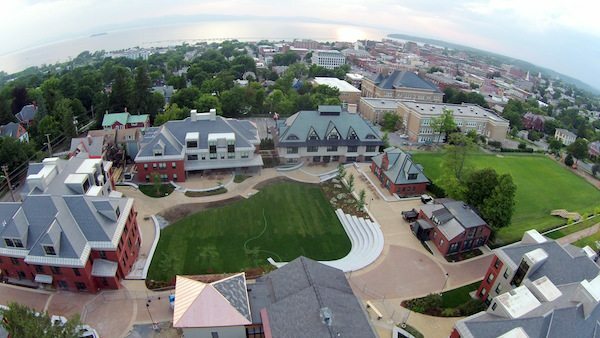 Champlain College is located in Burlington, Vermont, adjacent to Lake Champlain and was founded in 1878. The primary focus of study at Champlain caters to working adults and other non-traditional students. The school offers over sixty degree programs that are delivered in a flexible online format while maintaining the rigor and expectations of traditional, on-campus programs. The degrees offered include an Associate’s, Bachelor’s, and Master’s degrees as well as, certificates for each of these levels and post-graduate certificates. 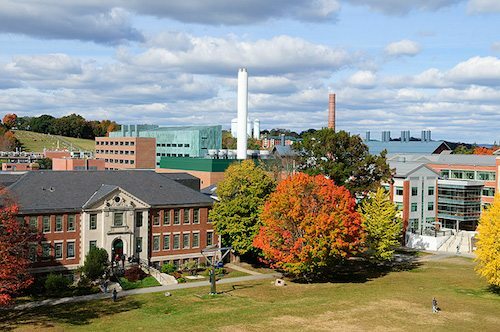 Champlain focuses on developing market-driven curricula with precise, practical applications to ensure education extends economic opportunities to students in a dynamic economy and marketplace. Champlain College Online offers a variety of graduate degree and certificate programs that are entirely online including an affordable online Graduate Certificate in Employment Law. The 12-hour certificate program provides a focuses on the labor law and explores the ways legal issues intersect with business.Students take four 3-credit courses, each over an 8-week term. The Employment Law Graduate Certificate may be earned as a stand-alone certificate or embedded in the Online MBA or the MS in Accounting degree. 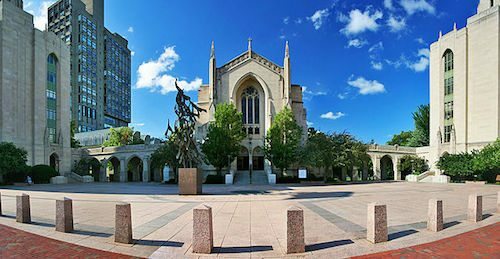 Boston University (BU) School of Law was established in 1872 by three Methodist men who were committed to the business and abolitionist ideals. They were determined to foreground an institution that was inclusive of all qualified students regardless of race, ethnicity, religion, or gender. The school became a chartered Association of American Law Schools member in 1900. Today, the School of Law is situated in the Charles River Campus in what is known as the Law School Complex. The US News and World Report ranked the BU number 8 in Tax Law Programs in the country. They offer several online classes and programs geared towards specific law interests. Boston University School of Law offers a fully online Masters in Law’s in Taxation degree program. The program was designed for lawyers with a busy schedule unable to attend in-person classes in Boston. Three annual program start dates let students begin the program with limited waiting. Students can complete the 24-credit program on a full-time or part-time basis, or fast-track the program in two consecutive sessions. Additionally, degree concentrations are available in International Taxation, Estate Planning, General Business Taxation, Financial Services, and Transfer Pricing. There are very few differences in the online program and the in-person course of study, including notation on the actual degree. The University of Connecticut (UConn) School of Law was established in 1921 and has since become a leader in many facets of law education. Institutionally, the school is committed to small class sizes, offering opportunities for experiential learning practices, and a variety of law programming, not specific to the state of Connecticut. The UConn Law campus is listed on the national registry of historic sites and boasts a law library that belongs in an epic cinematic art piece. The library was named in the top 50 Most Amazing University Libraries in the world by Best Master’s Programs. With the campus conveniently located around the corner from the state capital buildings, courts, and government agencies, residential students have access to these sites for externships and employment. The University of Connecticut School of Law has a premier an online LL.M. in Insurance Law degree program designed for lawyers and other professional students from around the world to learn about insurance and financial services law. UConn Law boasts the oldest insurance law program in the nation and has made a programmatic name for itself internationally. It is no accident that the program is headquartered in historical Hartford, Connecticut, is known as the “Insurance Capital.” Though the program is primarily online, students have access to faculty who are some of the top insurance law experts nationally. Applicants must have a JD from a US based Law School or a law degree from anywhere in the world. Located in the heart of New York City, Yeshiva University was established in 1976. They are a private school, and the home to many unique departments, including the Benjamin N. Cardozo School of Law. The US News and World Report Cardozo number 56 among the Best Law Schools in the country. In 1999, they became a member of the Order of the Coif, which is an honor society made up of law scholars. They have many notable features including seven faculty members who were clerks for the Supreme Court Justices. An exciting accomplishment is the development of the Innocence Project, which was facilitated by professor Barry Scheck. They use DNA profiling in service of freeing innocent people who are incarcerated. Yeshiva University offers a cutting-edge online Master’s of Studies in Law (MSL) in Data Privacy and Law program. In the modern world that we share there are so many new opportunities for data breaches, hacking, and additional security risks, and this program addresses these risks head-on by training students to be leaders in the fields of data and privacy law. This is a 30 credit program that is entirely online; students can choose whether they want to participate in a full or part-time basis, depending on their schedule and availability. Program participants will learn how to understand the legal and compliance requirements for management, acquisition, storage, and the transfer of large amounts of data. The Syracuse University College of Law was established in 1895 as a private Juris Doctor degree-granting law school in Syracuse, New York. In 1923 they received their accreditation by the American Bar Association, and since they have become a chartered member of the Association of American Law Schools. They are known as a leader in the evolving field of National Security Law, as supported by the Institute for National Security and Counterterrorism. They are also the home of the New York State Science and Technology Law Center. The College of Law has partnerships among many other departments for dual degree programs including the Maxwell School of Citizenship and Public Affairs and the Martin J. Whitman School of Management. Syracuse University College of Law has just made public that they are set to launch the nations first ABA accredited online Juris Doctor program that will be administered online. This will be a fully interactive program that will engage both self-paced and interactive online classes. The classes will provide many opportunities for students to work in small groups and have contact with the faculty in real time. All of the courses required for the residential program will be the same as the online coursework, including the same admission requirements and academic rigor. The launch of the program is expected in the Spring of 2019. The Western Michigan University Cooley Law School is a private law school with its primary campus located in Lansing, Michigan. The Cooley law program stands with a commitment to diversity, inclusion, and ethics. These values are reflected in the student body which is 42 percent students of color, ranging in age from 21-71. The school offers blended programming that is partially residential and combined with online learning. Students can choose from full and part-time admission and attend classes when it’s convenient. This unique scheduling, which includes weekends and accelerated options, enables students to participate in the program that may not have the capacity for the requirements of a residential program. Western Michigan University-Thomas M. Cooley Law School offers a hybrid LL.M. in Homeland and National Security program designed to engage societies in the contemporary needs of Homeland and National Security Law. The program competencies are in line with Professor McDaniel’s role for the Pentagon’s Homeland Security Strategy, Mission Assurance, and Force Planning. Program topics include transportation, and in air security, military operations, counter-terrorism, immigration, public health, bioterrorism, intelligence, and individual rights. Twenty-four credit hours are required for the completion of the program. There are many elective courses that students may opt to take, including Scholarly writing, Veterans Law Seminar, Military Law, Directed Study, and externship. 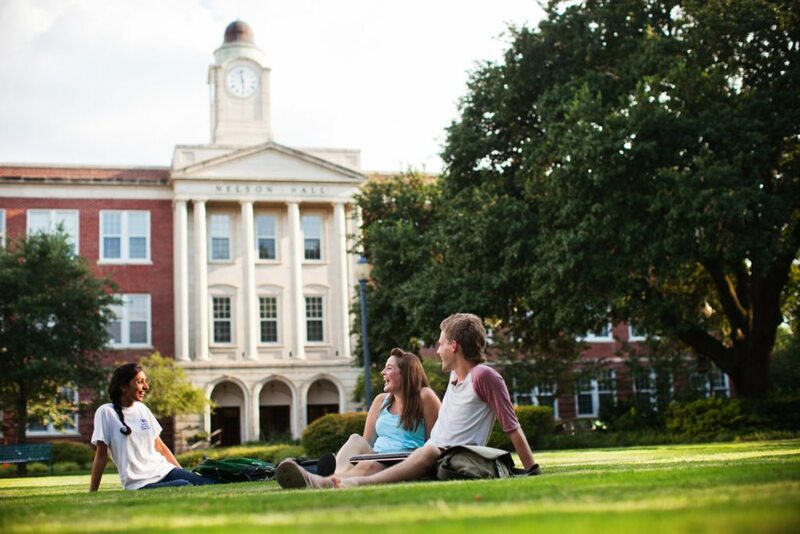 Mississippi College is a private Christian College committed to the liberal arts and sciences with ample opportunities for students to engage in law studies. They are the oldest and largest private university in the state. A Christ-centered education is a foundation that often draws students to all disciplines at Mississippi College. The US News and World Report have repeatedly ranked Mississippi College including 32nd in the Best College Rankings for Regional Universities in the South, 12th for Best Value Schools in the South, and 21st for Best Veteran Colleges in the South. Institutionally, they are accredited by Southern Association of Colleges and Schools Commission on Colleges. Mississippi College offers many opportunities for students who have a myriad of career goals and backgrounds, to participate in a personally tailored online Paralegal Studies program. This 27-hour, post-baccalaureate paralegal certificate is designed to complement undergraduate coursework in legal studies. Paralegals increasingly rely on technology to best professionally support attorneys, and this program will provide a focus on the ethical use of technology as a paralegal, among more traditional study in the field. The goals of the program include encouraging the growth of the paralegal profession and increasing access to legal services for community members by reducing client costs. This program encourages the mastery of professional legal ethics and enables students to practice as a paralegal in two semesters of study. Florida State University, or FSU, is located in Tallahassee, Florida, in the northern part of Florida known as “the panhandle”. The school was founded in 1851 as one of two seminaries colleges established in the Florida territory. Since then, it has become coeducational, and public, as well as being non-sectarian. FSU is a senior member of the Florida State University System. They are regularly ranked in the top 50 public schools in the country and take pride in the informal designation if “Budget Ivey,” or excellent research and academics but with low tuition compared to those of the Ivy League. Student leadership and success is so prioritized at FSU that the Student Government Association is allocated a $1.25 million annual budget, by far the most of any Student Government Organization in the country. Florida State University offers a Juris Master Online Program that requires 30 credit hours for completion and can be achieved on a full or part-time basis. Students choose a degree concentration based on career goals including: Health Care Regulation, Financial Regulation and Compliance, and Legal Risk Management and HR Compliance. Graduates of this program will also be versed in how to perform legal research, professional legal communication, and how to read and interpret statutes, regulations, and case law. Each of the three concentration areas offers options of advanced course offerings to deepen as well as broaden the students understanding of laws impacting those areas. 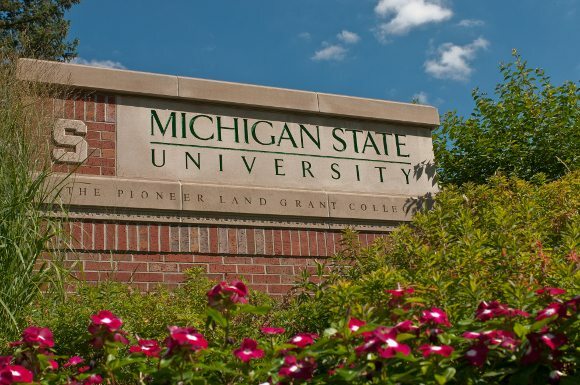 Michigan State University (MSU) is located in East Lansing, Michigan and was founded in 1855. It was one of the first of many land-grant universities later created under the Morrill Act of 1862. MSU served as a model for this program. 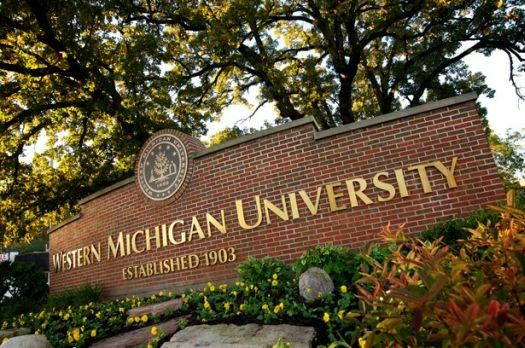 The university was initially designated the Agricultural College of the State of Michigan and was also one of the first to focus specifically on the science of agriculture. Far from these specific roots, it is now one of the top research universities in the world, spending over $528 million in research annually. MSU has 25 undergraduate and graduate programs ranked in the top 20 nationally by the U.S. News and World Report and continues to be a global leader in producing promising professionals. MSU College of Law offers a Global Food Law Program which aims to give lawyers, regulators, and other industry professionals the ability to successfully navigate the dynamic system of laws that governs the safety and regulation of our food system. The Online Master of Laws program (LL.M.) in Global Food Law is the track for those who wish to practice law or have a previous law degree, and a online Master of Jurisprudence (M.J.) program is designated for non-lawyers. The LL.M. and M.J. students study together, incorporating an interdisciplinary model of learning that strengthens each area of professional practice. Both of these degree tracks focus on food regulations, laws, safety, health, traditional/religious practices, international law, labeling and much more. The LL.M. program requires 24 credit hours to graduate, whereas the M.J. program requires 26, to account for the course in law background. 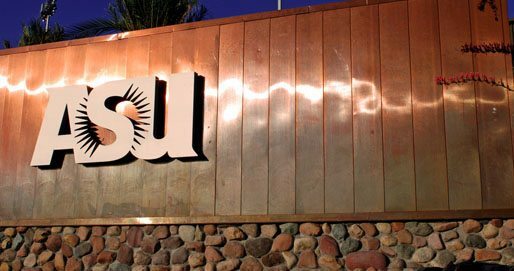 Arizona State University (ASU) is consistently considered one of the most innovative schools in the country, encouraging degree completion and the facilitating the success of their students in every way imaginable. The school offers some of the most creative and successful online and hybrid education models in the country, with over 40 of these ranked in the top 25 in the country by the U.S. News and World Report. The predecessor to what is now ASU, the Territorial Normal School, was founded in 1886, nearly thirty years before Arizona became a state. As Arizona’s first higher education institution, it paved the way for excellence in higher ed, and continued success of learners in and around the region for centuries to come. The Sandra Day O’Connor School of Law at ASU offers a Juris Doctorate (JD) Flexible Schedule degree program that is a hybrid model and geared toward people who need a non-traditional model of education. While full-time work outside of the coursework is discouraged during the years of study for the Juris Doctor Program, students who have life commitments that do not allow for typical law school study habits are encouraged to apply. ASU stresses that this program is not a more straightforward path towards the JD, nor is it an evening law program. There are required courses that are offered in the afternoons and evenings, but the main difference between this and the traditional JD path is the ability to reduce the per semester course load by one to two courses. Nova Southeastern University was established in 1964 and is known for conducting high levels of research ans experiential approach to education. The school has many programs geared toward adult learners and non-traditional students, including a whole host of online degree programs that are flexible enough for students to continue working full time and raising families while being successful students. Nova Southeastern takes pride in the school’s small class sizes and student support opportunities. There are many opportunities for students to earn professional certificates as well as work towards degrees. Nova Southeastern University is located in Davie, Florida. Nova Southeastern University has created an online degree program that enables students to a achieve a Master’s of Science in Law and Policy at their convenience. The program can be completed in as little as two years time. Additionally, Nova Southeastern students do not need to take the LSAT or GRE to apply, which is a real benefit to professionals already working in the field. The program builds a knowledge base around the underpinnings of the American Legal System in relation to laws, regulations, and political frameworks at the base of many professions. Coursework includes many transferable skills including communications styles.